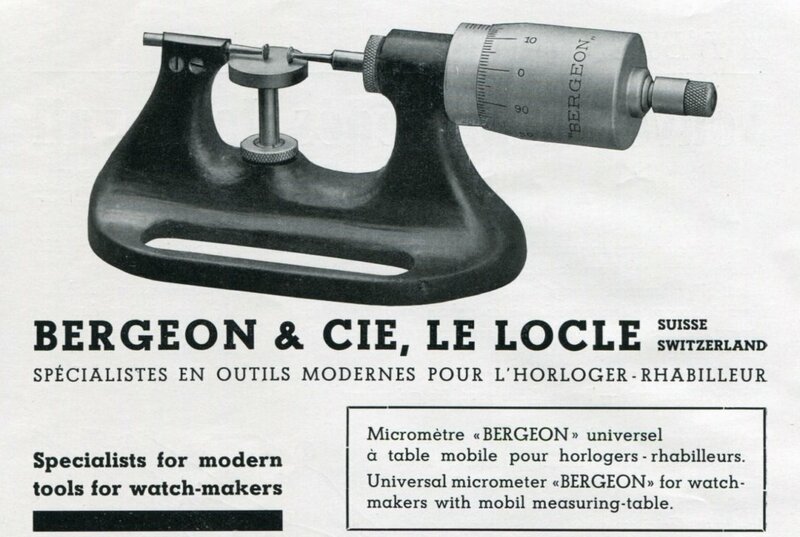 Original Swiss magazine advertisement from the year 1940 for Bergeon & Cie, Le Locle, Suisse, Switzerland. The advertisement was carefully removed from a Swiss magazine. Please note the dimensions of the ad (below); this is a SMALLER AD which is NOT full-page in size. The ad measures approximately 6 1/4 inches wide by 4 1/4 inches high (excluding margins, if any).